I celebrated my birthday recently, meaning every member of my family gave me money (with the instructions "don't spend it on the children") because I am notoriously difficult to buy for. As a result, I've been taking the whole "Treat Yo Self" idea VERY seriously, and have bought a plethora of bookish goodies. I thought I'd put a post together to help others find interesting, quirky gifts for bookish people. I'm a big fan of Shirley Jackson's writing (my favourite is We Have Always Lived in the Castle), so I'm excited to read this biography. After Carrie's untimely death last year, I kept seeing quotes from this book online, so I added it to my to-buy list. I read this at the weekend and I'm torn between warning you about it and not wanting to spoil it - It features very heavy subject matter that's not mentioned in the blurb, but I'm really glad I read it. It's a hard one to get through and not at all what I expected - so I'd say if you're in a strong place mentally give it a go. Colleen is fast becoming one of those authors that I'll just buy without even looking at a blurb. I also read this at the weekend and it's everything I wanted Susie Orbach's Fat is a Feminist Issue to be. It's a wonderful read about accepting yourself and finding the confidence to shout, rather than whisper. It's about claiming your space and knowing your worth, knowing when a "no" is the right decision, and knowing when to stand up and say "I'm not having any part in this, this is wrong". A fantastic read that I'll no doubt dip in and out of regularly. 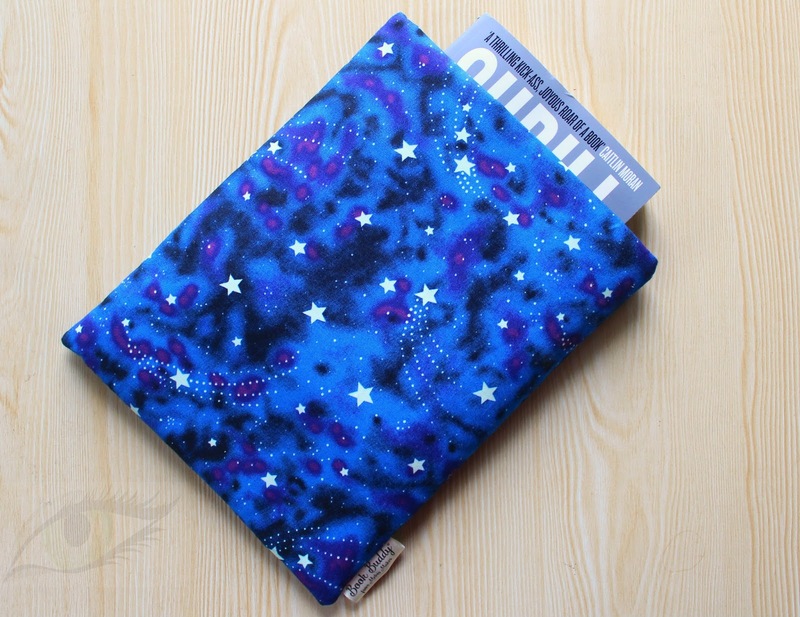 These have probably been around since the dawn of time but it's only recently that I've seen them grow in popularity - a book buddy is essentially a padded fabric bag that you can keep your book or e-reader in to stop it from getting dirty or torn. These aren't overly hard to make - if you're good with a sewing machine or knitting needles, you could rustle one up yourself. I went to Etsy for mine, and used a seller called Melvis Makes. I picked the medium, it's big enough to fit one thick standard paperback, a larger Indie book, a smaller hardback or two small paperbacks. Do I ever lend my books to people? Nope. Not since a friend borrowed The Babysitters Club: Mary-Anne's Makeover in Secondary school and never returned it. So why do I need this? Because as a child, library was one of my favourite games to play with my sister. We both really wanted a stamper and yes, you can probably pick those up in Euro shops now - but this is such a cute little kit and I couldn't resist it. I picked it up from Book Depository. Not a new idea by any means, but bookmarks have become a lot more exciting than they used to be. 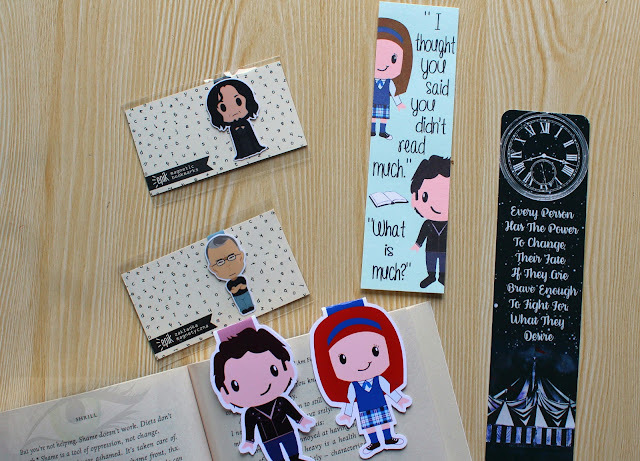 Magnetic character bookmarks are popular, and are available in every character you can think of. There are also standard ones featuring any TV show or quote you could think of, and lots of custom sellers on Etsy who can make you something if you can't find it. I bought my Gilmore Girls one from Beyond The Pages, the Caraval one was from That Bookie Bookmarks, and the little Stephen King and Snape ones from Epik Page. Books and candles go together like...books...and....candles. This is another huge trend right now, and there are many candle makers. 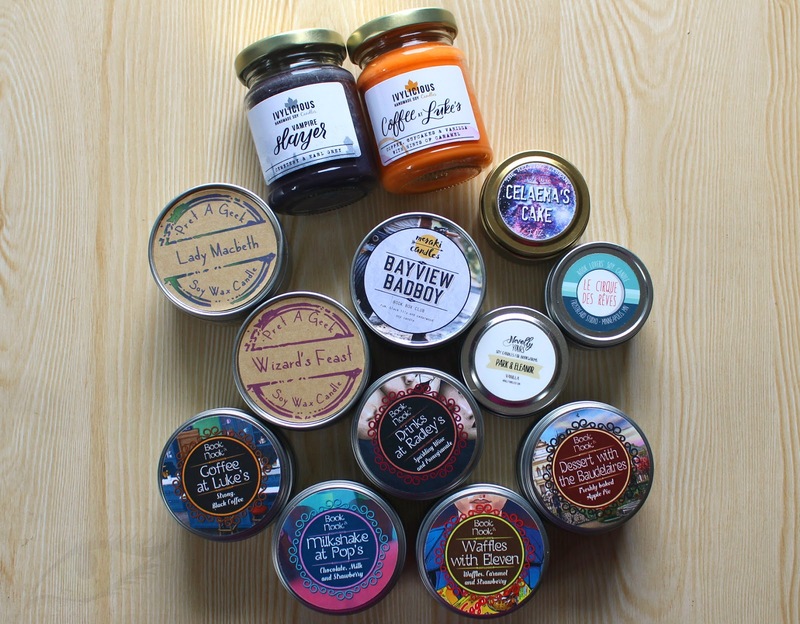 I've found some good ones (and some not so good), but I've got a few sellers that I'd recommend. I received some of these in book subscription boxes, but the ones I bought were from Book and Nook, Pret a Geek, and Ivylicious Soy Candles. I saw this via The Rick O'Shea Book Club and thought it was a wonderful idea. It's currently available in Dublin and Bray, hopefully it will be extended to other stores too. 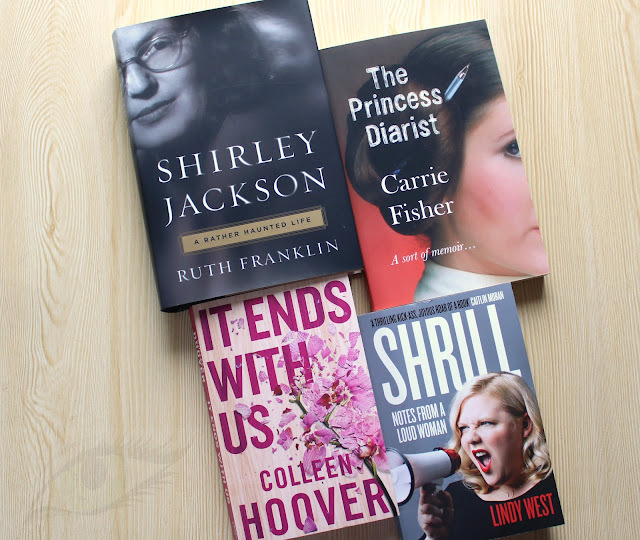 For €80, you get to sit down with over tea/coffee and have a chat with a personal shopper who will suggest new reads for you based on your interests. You will then be able to choose €60 worth of books to take home, plus you'll be given a moleskine notebook and tote bag. This is such a wonderful idea, it's a great gift for someone who has everything! You can order on their website: Dubray Personal Shopper Voucher. 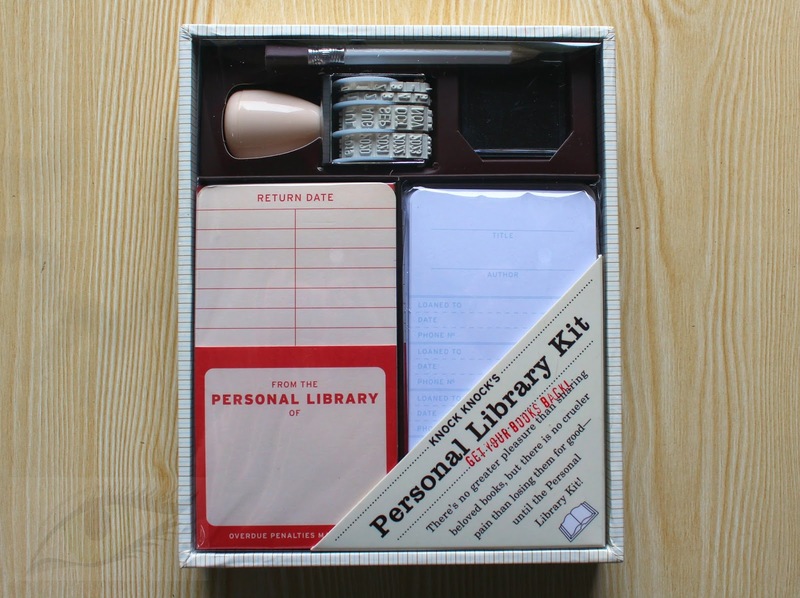 For readers in the U.S, there are many options for bookish subscription boxes. On this side of the pond, it's a little harder to find something similar. 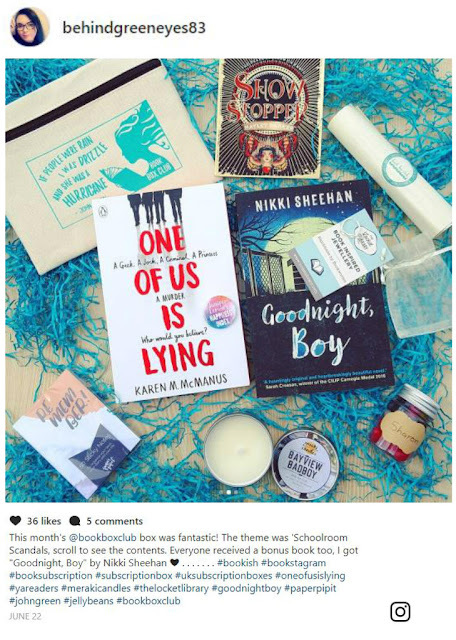 Book Box Club are based in the UK and they offer a monthly subscription box based around a different theme, featuring a new Young Adult release and a box full of goodies. There's also access to an exclusive online group, and a chat with the authors. I've yet to find an adult equivalent, but a 3 month subscription would make a YA reader very happy. If there's anything else you've seen that would make a great gift for a book lover, please do let me know in the comments, or if you know of any other places that do bookish candles or quirky bookmarks. I just ordered the audiobook of Shrill so I'm looking forward to that! I really need to read something just like it, I think it would do me good.